It was the fall of 1991, and my family and I had just embarked on a weekend trip to the Henry Ford Museum in Dearborn, Michigan. This was not your typical museum; you know, very cold, quiet, and you’re not allowed to touch anything. It was actually the exact opposite. Since I was, and still am, a very tactile person, this suited me well. Anything that looked even remotely interesting was in my hands, with or without my parents’ permission. At one exhibit, we worked on an assembly line putting together little wooden cars. It was like we were reenacting the scene from “I Love Lucy” where Ethel and Lucy are at the chocolate factory. Once we got adjusted to a certain speed, they bumped it up a notch until it was just too fast to put anything together. I was having a really great day. I loved the Henry Ford Museum – that is, until we headed for the gift shop. Now I was only in the first grade, but I should have known better. And even though my parents had given me the “don’t touch anything!” speech thousands of times, I just couldn’t help myself. Once we crossed the threshold of the store, all of the merchandise just seemed to call my name. “Laura! Pick me up, no one’s looking! They won’t mind…,” they chanted. My head was spinning with the possibilities. The walls were lined with stacks of merchandise. Stuffed animals, Henry Ford biographies, even little black Model T replicas were just a few of the pricey items for sale. There was also the cheap stuff that kids find most appealing: key chains, pencils, stickers, and other useless junk that will be forgotten about the moment you reach home (if it makes it that far). I ignored my better judgment and plunged in head first; knowing fully that my parents would never spring to buy any of the overpriced merchandise. There were so many great things to choose from! After perusing the whole store, I zeroed in on one souvenir in particular: a bin full of plastic Oscar Mayer Weinermobile Whistles. They had caught my attention because on our drive to Michigan, we had seen a Weinermobile parked in a Kroger parking lot, and there was also one inside the museum. It was as if fate had brought us together in that very gift shop. The whistles were sitting right next to the cash register, but I didn’t let that stop me. Without a thought in my mind, I just extended my arm and reached my little hand into the plastic container. I pulled the chosen whistle out and it was headed towards my mouth. After a deep breath, I gave it a go od blow – just to test it out. All activity in the store came to a screeching halt and all eyes were on me. The ear-piercing cry of the whistle had gotten everyone’s attention, including the saleswoman’s. Now, I hadn’t really thought that far in advance, so I was unsure of what to do next. Using my trusty “kid-logic”, as my mom calls it, I tried to place the whistle back in the bin and hoped that no one had known that it was me. But unfortunately, the saleslady had noticed that it was me. “Who blew that whistle!” she shrieked, immediately stopping everything she was doing to find the perpetrator. My heart seemed to skip a beat. “I did,” I timidly responded. That tingly feeling of panic rushed all over my body. It took everything I had just to keep from crying. I could feel my face getting hot. “If you blew it, you bought it!” she scowled. She would not, make that could not, sell that disease ridden thing to anybody else after my germ filled mouth had touched it. When I finally summoned the courage to look her in the face, she gave me the coldest stare I had ever seen in my entire seven years. She had her arms crossed and she was tapping her foot on the floor. Her beady eyes glared out at me through her librarian-like glasses. I felt as if I had committed some sort crime against humanity. By this time, my dad had made his way through the crowd and was at my side. Visibly irritated, he shot me a look as if to say, “Haven’t we gone over this before?” and forked over the cash. I then slunk towards the door with my fifty-cent Oscar Mayer Weinermobile Whistle in tow; I guess you could call it an impulse buy. Once outside, I was informed that the money would be coming out of my pocket. Since I have always been a bit of a hoarder with money, this was pretty devastating news. Fifty cents is a fortune when your regular income is only two dollars a week. After we left the museum, I hoped that the whole Weinermobile incident would be forgotten about, but it was not. It was not forgotten about when we left Michigan, or when we returned home. My parents deemed it necessary to tell every relative or friend they had about my entertaining mishap. I didn’t see any humor in it, but they all laughed their heads off when they heard the story. Everyone said that I would laugh about it when I was older, and fortunately that is true because I don’t think it will ever be forgotten about. 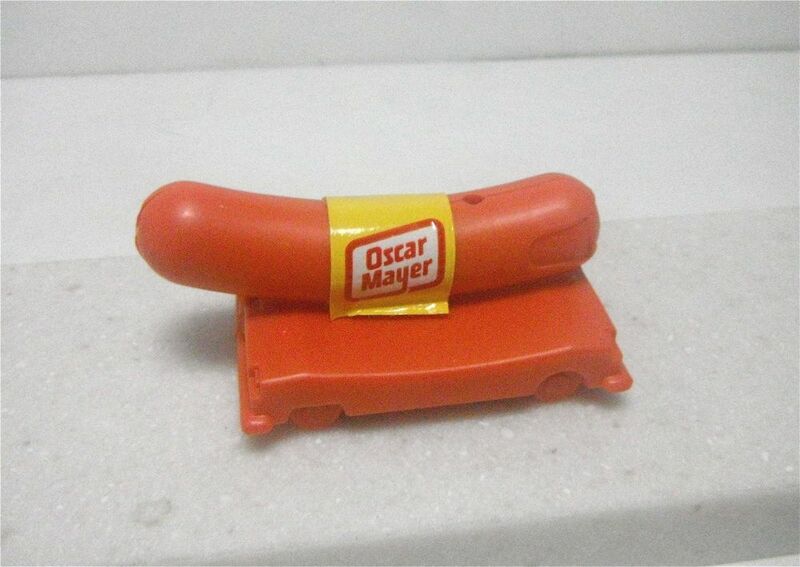 Today, the infamous Oscar Mayer Weinermobile Whistle is on display in our printer’s box, front and center. It sits next to souvenirs from other family vacations that were actually bought on purpose. It still gets a good laugh from someone every now and then, even from me.